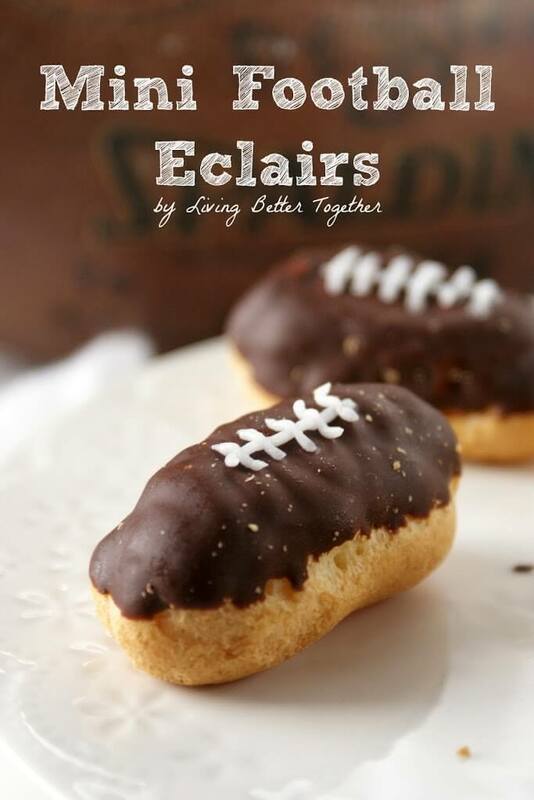 These Mini Football Eclairs are a super easy a fun game day dessert everyone will love! Made with just two ingredients, you’ll love making them as much as your guests will love eating them! I know the Super Bowl is tomorrow and most of you already have your menus planned out for the game, but for those of you who don’t, here’s a super easy dessert for the party! 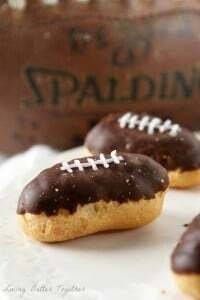 These Mini Football Eclairs are so easy, and though they’re not from scratch, they’re sure to please your guests and make your life a whole lot easier! Plus, you want to be able to enjoy the commercials game yourself, don’t you? 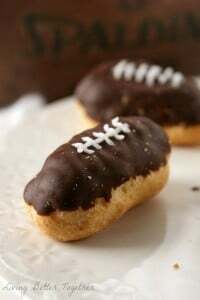 These are such a fun and easy treat to make for game day parties or football game receptions. Everyone will love them and think they’re jus the cutest – because they are! 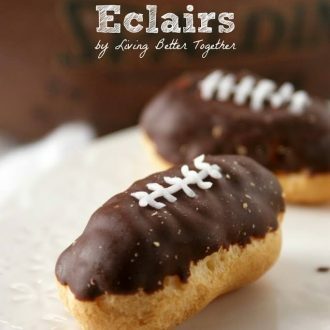 These Mini Football Eclairs are a super easy a fun game day dessert everyone will love! Made with just two ingredients, you'll love making them as much as your guests will love eating them! Use a pastry or ziploc bag to place icing in and cut off a tiny corner. Draw stitches on the thawed mini eclairs.